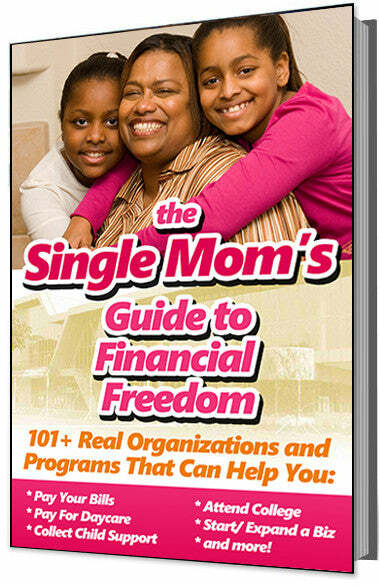 How This Mompreneur and Her Two Daughters Came to Own -- Not 1 or 2 -- But 13 McDonald’s Franchises! 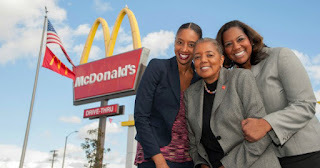 Entrepreneur Patricia Williams and her daughters, Nicole Enearu and Kerri Harper-Howie, have created a legacy for themselves as the owners of 13 McDonald’s franchises in the Los Angeles, California area. Their enterprise employs more than 700 people in their local community, and generates more than $10 million dollars in annual revenue. Patricia grew up poor. Her mother was a maid, and her father was a longshoreman. But she says they both instilled in her the value of doing the right thing. In 1984, when her daughters were still very young, Paticia was working for the state of California when she found out about a 3-year associate marketing degree program with McDonald’s. She saw this opportunity as "the right thing", and after completing the program, she was given the option to become a franchise owner. She told the Los Angeles Sentinel, "It was a pretty intense, three-year program and I had two young daughters. But like most things in life, it was the right time and the right place. The opportunity presented itself, so I jumped right on in and I haven’t regretted one moment." By the time her daughters were 18-years old, Patricia owned 4 McDonald's locations. Naturally, Patricia wanted her daughters to get on board as well, but that didn't happen immediately. They had other interests, and initially pursued their own careers. But they eventually circled back and joined their mom in building the family enterprise. "Owning a McDonald’s was always in the back of my mind, but I didn’t know that I would actually do it...” said Nicole. Patricia has been a franchise owner for more than 30 years now, but outside of the restaurants, she is also an ardent supporter of neighborhood enterprise and has been actively involved in McDonald’s charitable programs, both locally and nationally. She has diplayed a genuine passion for philanthropy and selfless dedication to the community, and for all her public outreach work, Patricia has been recognized by federal, state and local government agencies. In 2014, McDonald's awarded Patricia with the highest honor an Owner/Operator can achieve: the Golden Arch Award.